Paul had a bad day in Lystra when he was stoned and left for dead, “Jews came from Antioch and Iconium, and having persuaded the crowds, they stoned Paul and dragged him out of the city, supposing that he was dead” (Acts 14:19 ESV). Things got better after “the disciples gathered about him” (I’m guessing they prayed for him). After that, he got up and went back into Lystra for the night. The next day he and Barnabas went to Derbe where they preached and made a bunch of disciples (the Bible doesn’t say how long they spent there). The fact that they made disciples implies that we haven’t truly “done the gospel” if we stop at declaring it, or even making converts. The Great Commission is to make disciples, teaching them to obey Jesus. Anything short of that equals fishers of men who can’t haul in the catch. The next move was a tour back through towns from Lystra to Iconium and Antioch where they had worked before. And, this is where it gets interesting… They went around “strengthening the souls of the disciples, encouraging them to continue in the faith, and saying that through many tribulations we must enter the kingdom of God. And when they had appointed elders for them in every church, with prayer and fasting they committed them to the Lord in whom they had believed” (Acts 14:22-23 ESV). Did the appointment of elders constitute the planting of a church? Or, were these churches needing more elders? We don’t know. The important takeaway is that they commissioned relatively new believers as elders in recently planted churches. Most timelines of Paul’s life place the entire first missionary journey in a single year, AD 48. These people were elders in relation to the “youngers” in their midst. After appointing them, Paul and Barnabas “committed them to the Lord in whom they had believed” (Acts 14:23 ESV). They trusted God to guide these newly minted leaders because they wouldn’t be around to guide them, themselves. My point—they trusted the Lord more than you or I when it comes to releasing leadership to launch churches. Think about it. The apostles had extremely limited means of communication. For a letter to go round-trip it might take as long as a year. Yet they believed in their disciples enough to ordain them as elders while we would have them in the first leg of a discipleship curriculum. They trusted the Lord more than you or me. Jesus said that the Holy Spirit would guide us into all truth, but we have a hard time believing that. This is why we build so many structures to help him do his job. Rather than let us off the hook by saying, “We need to trust God more,” let’s say we manifest “unfaith.” Every person on the planet needs to trust God more, but when our consistent behavior seems to repudiate Jesus’ words it’s worse than unbelief, it’s unfaith. We place faith in our tools and systems instead of in God. 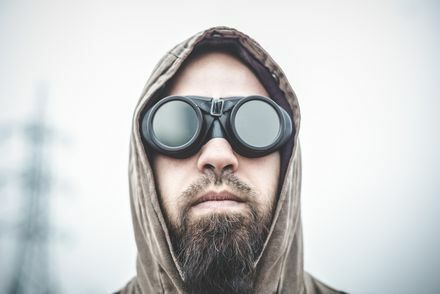 It’s time to take off the dark goggles of humanism to see the clear light of God in the people we disciple. You cannot foment revolution through evolution. If you truly intend to launch a multiplication movement, you must toss your crutches aside and walk the walk described in the New Testament. We should value our tools but not place them above the master-craftsman. Rapid multiplication of disciples and churches demands that you look to the New Testament as your guide rather than modern church culture. The examples in the gospels and Acts are the archetype for disciplemaking and church planting. If you read the early church as “primitive,” you miss the power of simple trust and waste your life trying to improve on the examples of Jesus and the apostles. Grab ahold of them and life gets exciting. Have you ever trusted God too much when endorsing someone for ministry? Tell us about it… Did you ever bet on someone that looked shaky, only to have them succeed? I’ve done both, but would like to hear your story. Please add your insights to what you just read in the comments section below. I see many examples of churcdh leaders failing to trust (believe in) God. An especially sad example I heard about came from one of the leading disciple multiplication movement leaders. Senior leaders from one of the “largest, best known” churches in America came to him to learn about multiplication. At the end of their time together they told him we know that if we do what you’ve told us to do, we would make more and better disciples. However, a key part of his “system” includes multiplying “simple churches” and the church leaders were afraid too many of their people would end up in the “simple churches” and not come to the big church resulting in offerings too small to pay off a huge mortage. The really sad part is, how many people will go to hell because this church didn’t do what would make more and better disciples. And howmany more will go to hell because the leaders of a lot of other churches look to what this church does to guide what they do. Well said–money is the monster hiding in the back of most leader’s minds.